Alban, a Roman centurion, became England’s first martyr in AD 250. 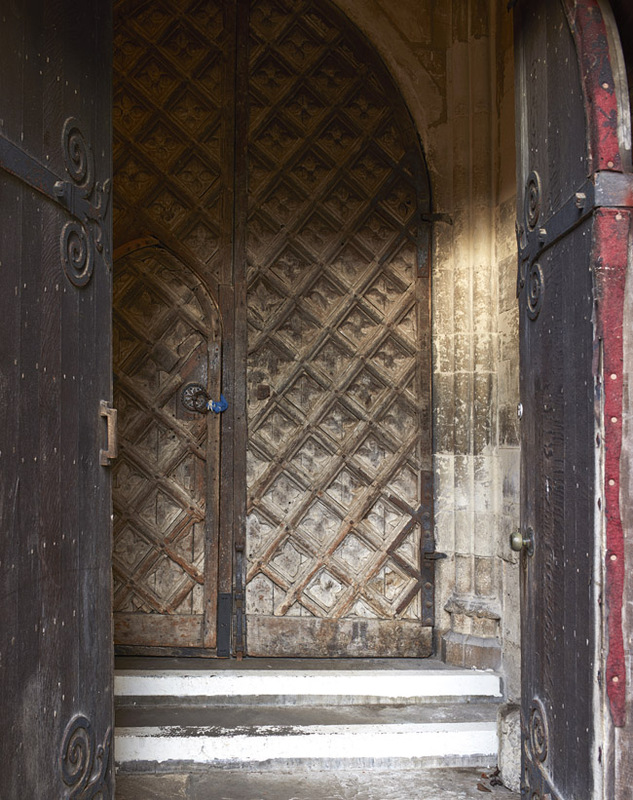 The Abbey founded on the site of his martyrdom became one of the most important in the country. The present building dates from 1077, with major additions from later centuries. Richard Griffiths was appointed Cathedral Architect in 2000 and has guided all the works to the Abbey over a 17 year period. 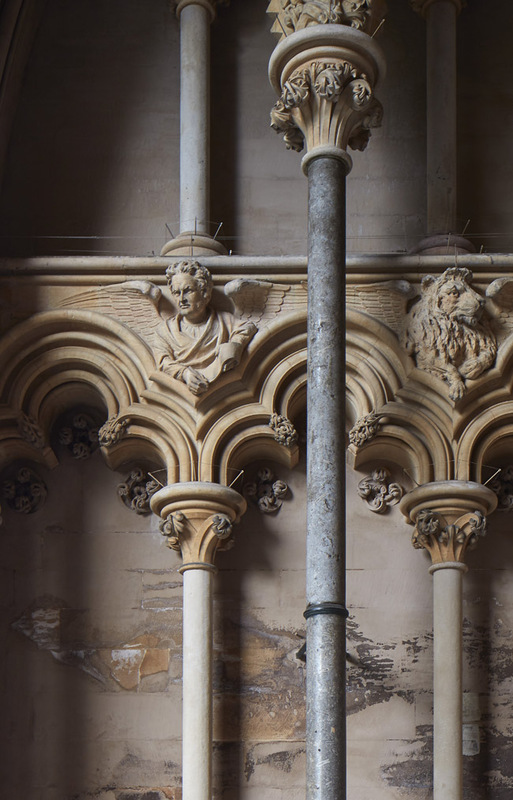 He has been responsible for repairs to the 13th Century timber vaults to the presbytery, the preservation of the Medieval wall paintings to the nave and south ambulatory, and the conservation and repair of medieval stonework to the west porches and to the east end. 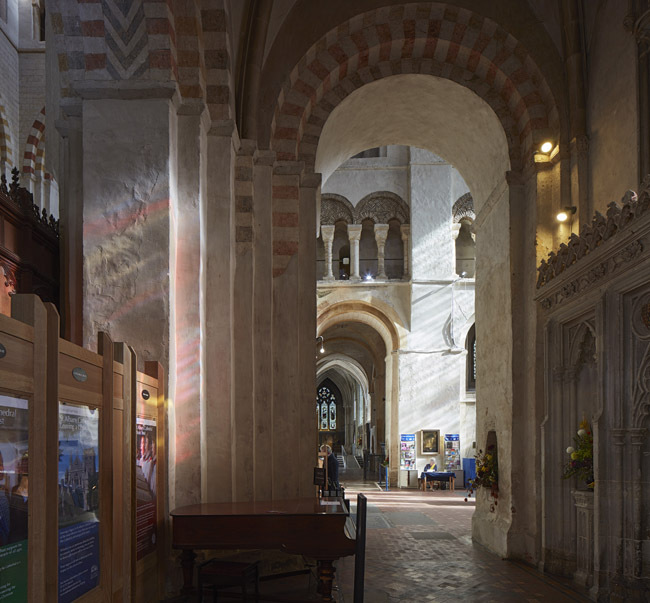 He has also designed the reordering of the nave sanctuary, the provision of full access inside and around the Abbey, the rehanging of the bells, the relandscaping of the south churchyard, and major commissions for new stained glass windows and sculpture. Exterior facade. St Albans Cathedral, St Albans, United Kingdom. Architect: Richard Griffiths Architects, 1077. Interior view of the chancel. St Albans Cathedral, St Albans, United Kingdom. Architect: Richard Griffiths Architects, 1077. View through side entrance. St Albans Cathedral, St Albans, United Kingdom. Architect: Richard Griffiths Architects, 1077. Interior view. St Albans Cathedral, St Albans, United Kingdom. Architect: Richard Griffiths Architects, 1077. Interior view with rose stained glass. St Albans Cathedral, St Albans, United Kingdom. Architect: Richard Griffiths Architects, 1077. 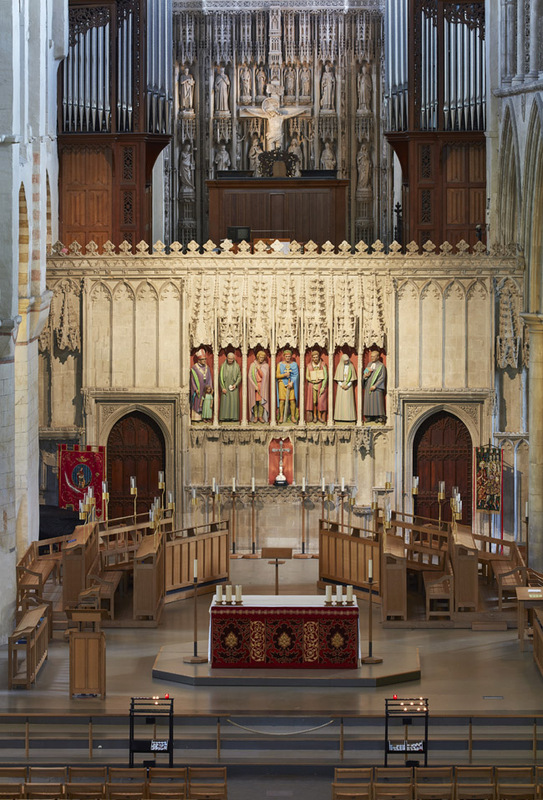 Interior view of the Rood Screen and altar with view of the Wallingford Screen behind. 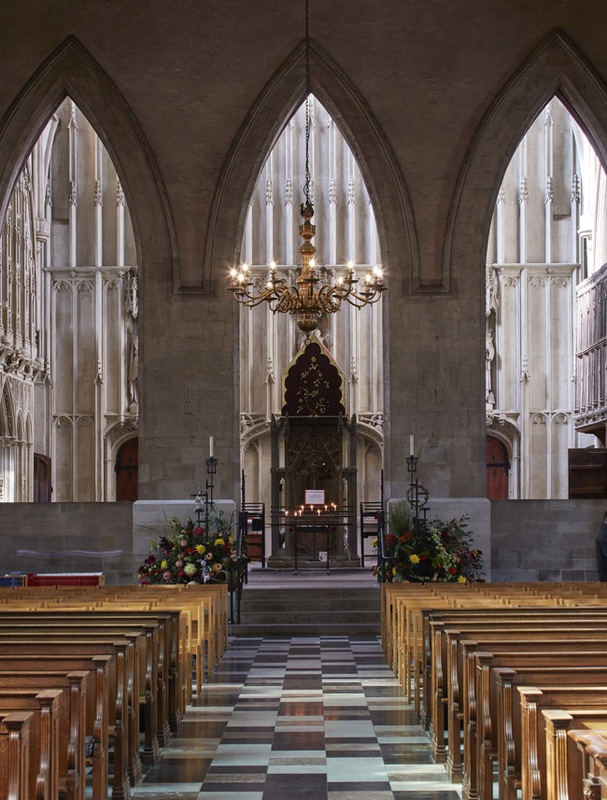 St Albans Cathedral, St Albans, United Kingdom. Architect: Richard Griffiths Architects, 1077. Stonework arches. St Albans Cathedral, St Albans, United Kingdom. Architect: Richard Griffiths Architects, 1077. Detail of stonework and columns. St Albans Cathedral, St Albans, United Kingdom. Architect: Richard Griffiths Architects, 1077.